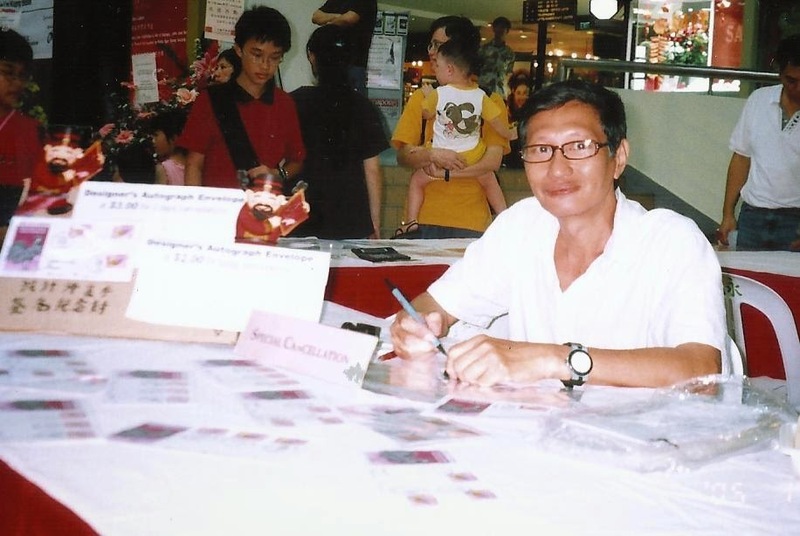 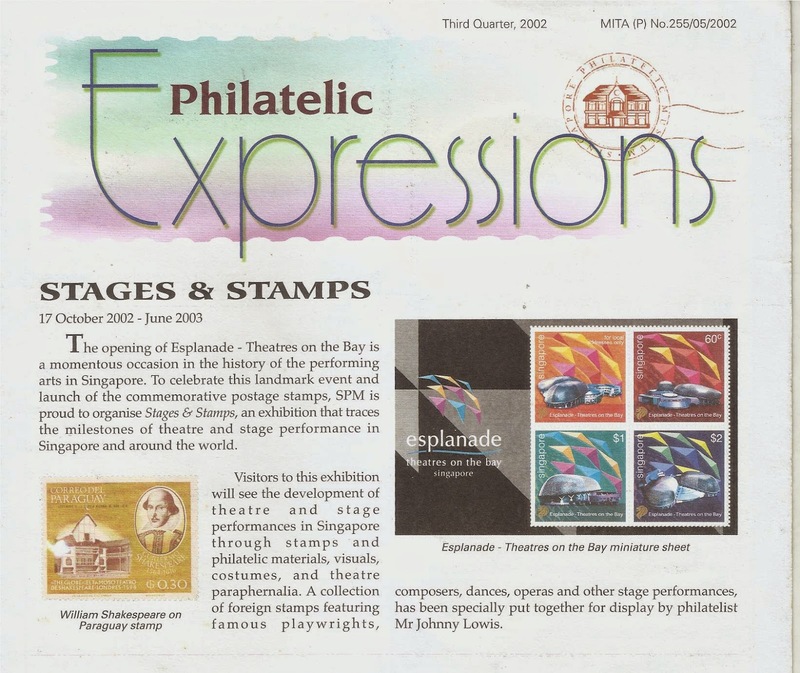 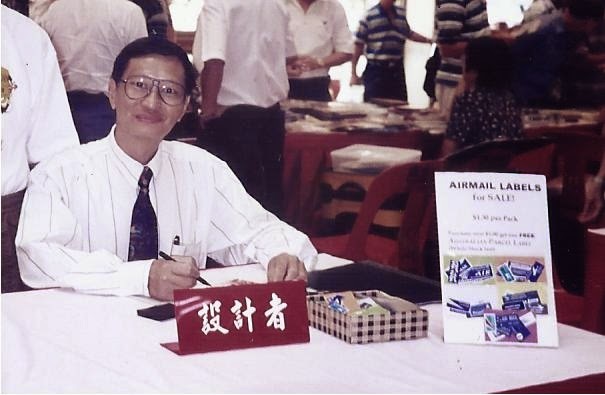 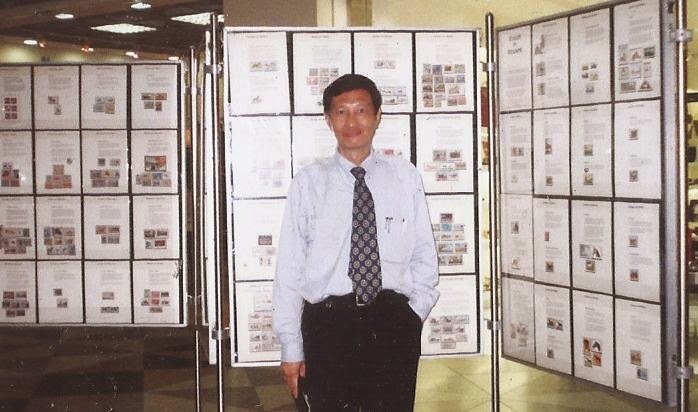 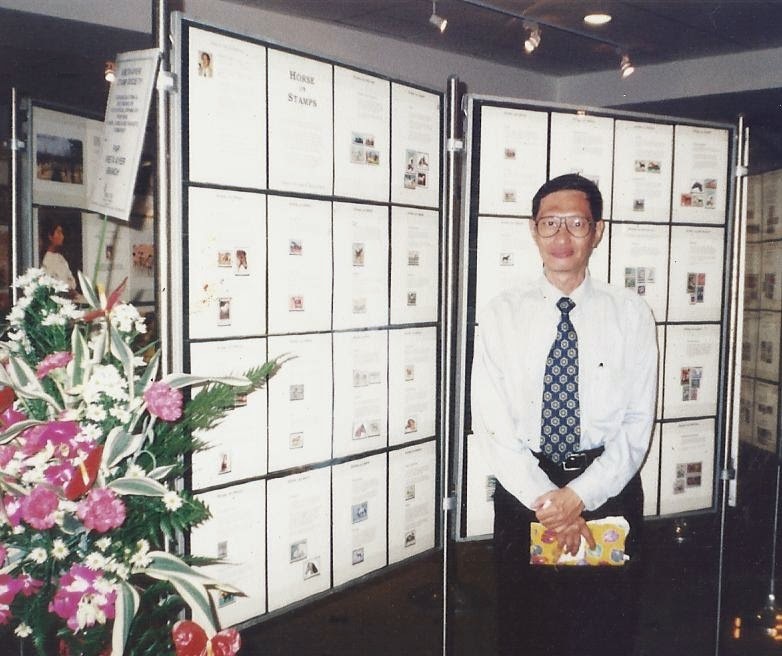 "Air Mail Labels and Birds Stamps Postcards"
exhibition at the Suntec City. 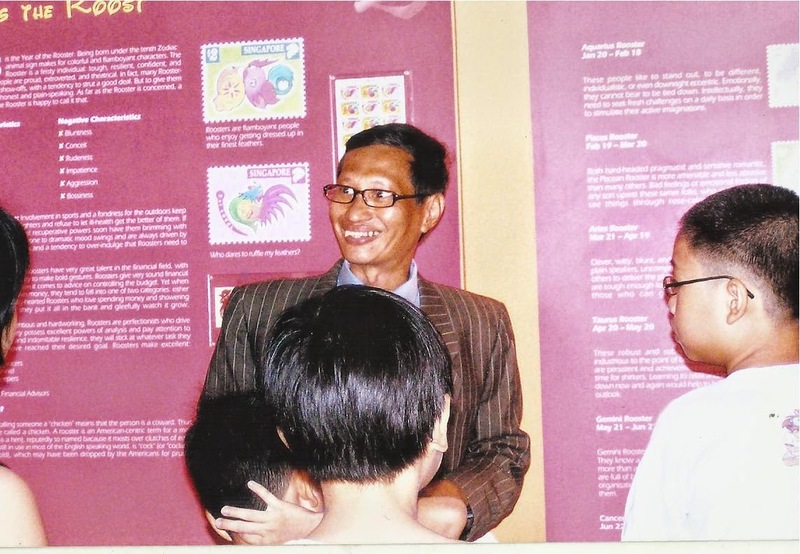 on my "Horses on Stamps" exhibit at SPM. 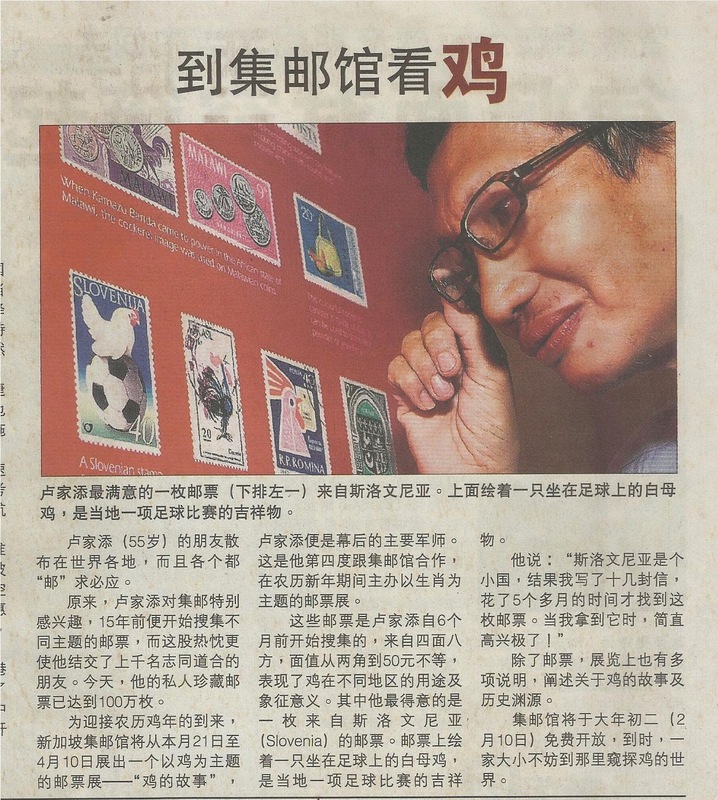 in conjunction with Singapore-Malaysia Joint Issue. 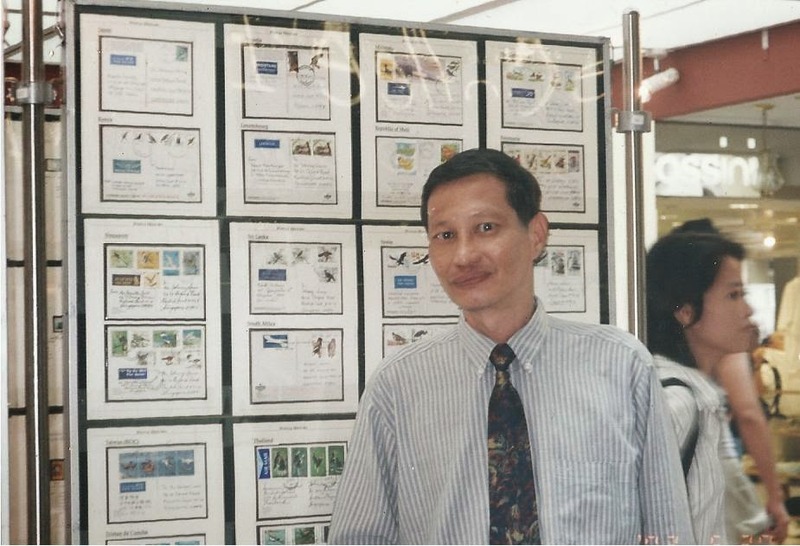 (17 October 2002 - 30 June 2003). 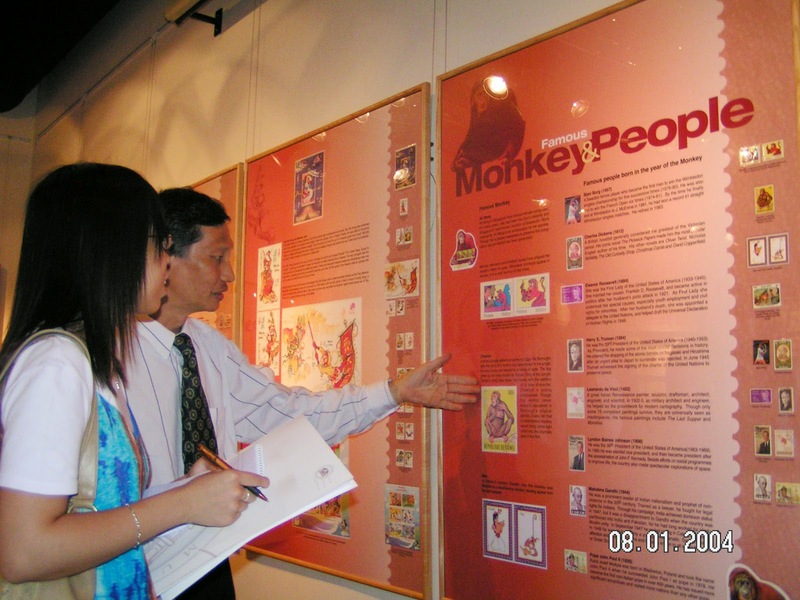 This exhibit was repeated on the following year. 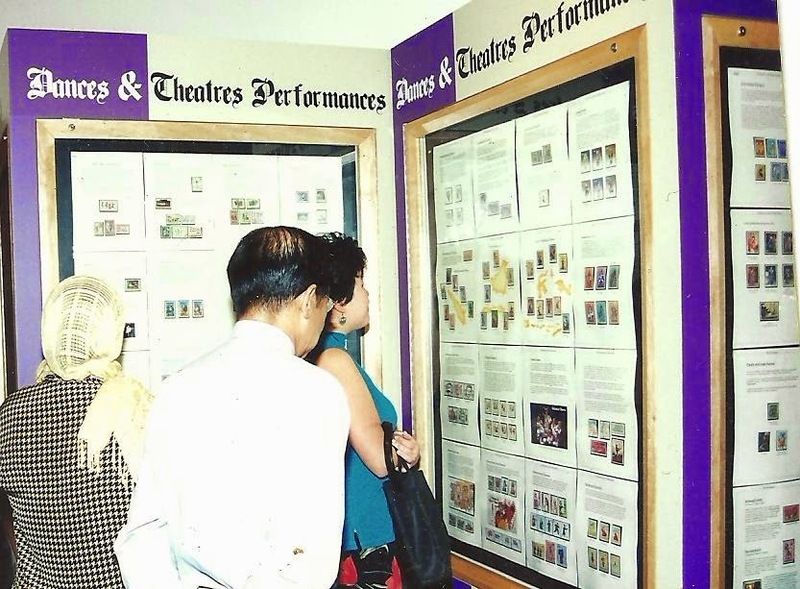 Visitors viewing one of the panel. 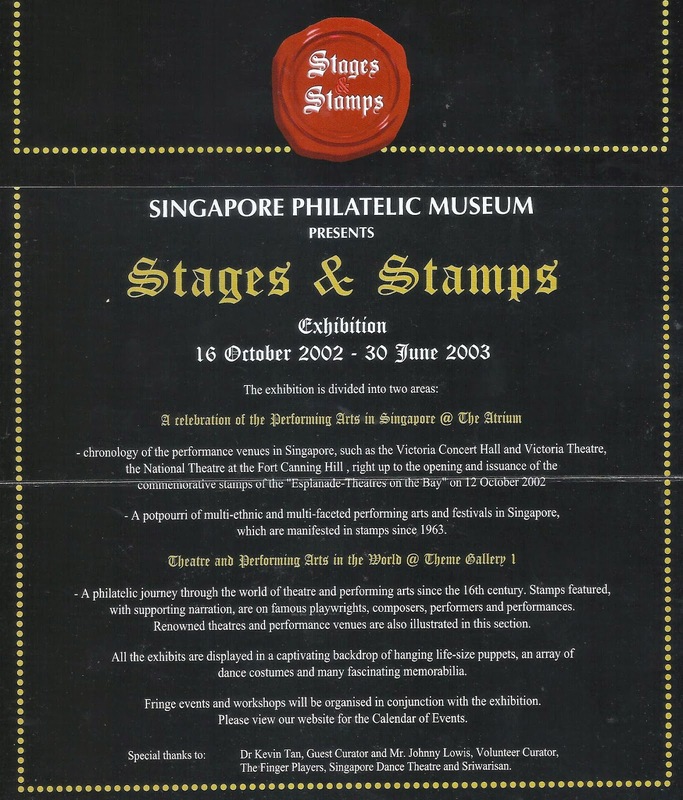 conjunction with the opening of Esplanade Theatres. 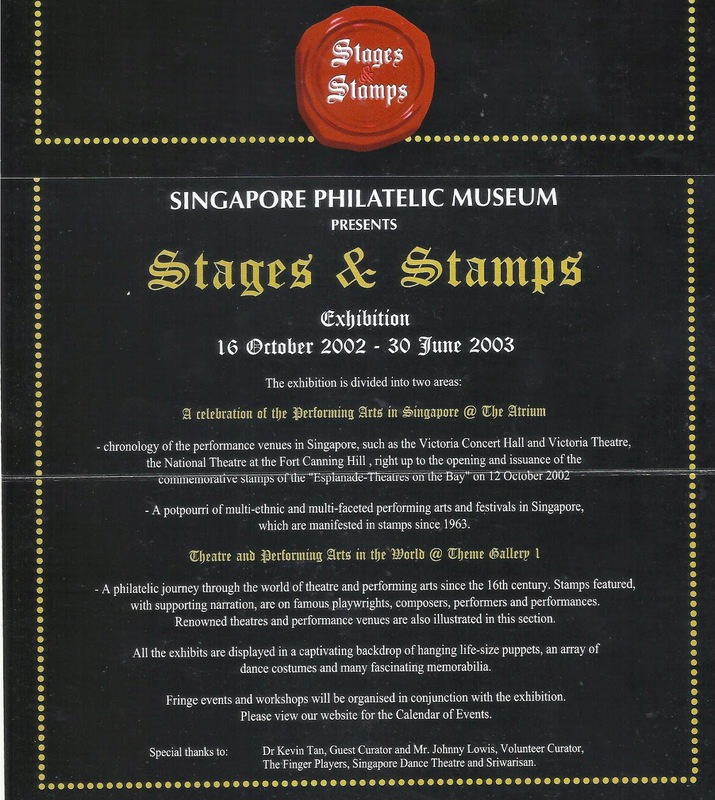 Pamphlet for the "Stages & Stamps" Exhibition. 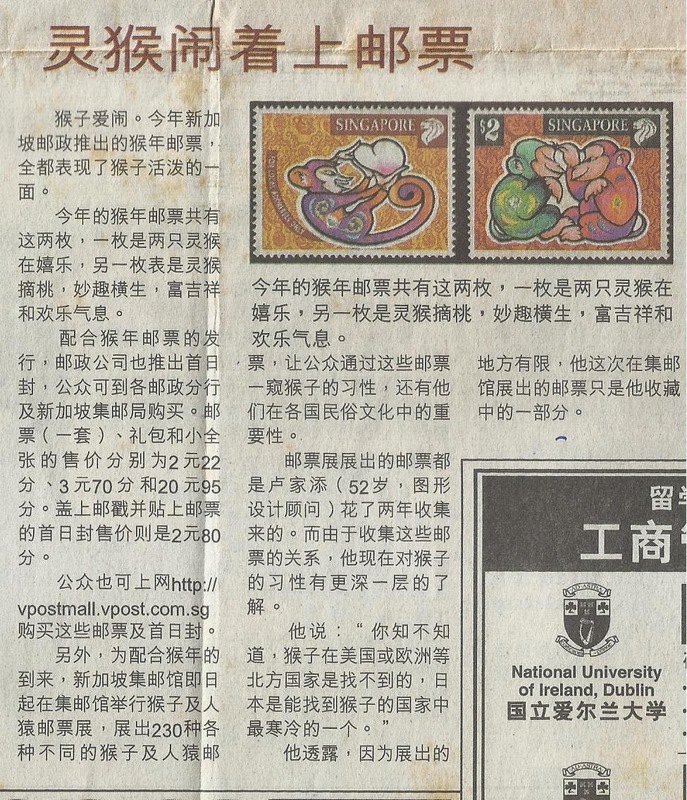 newspaper "Lianhe Zaobao" on 8 January 2004.
article on 2004 quarterly newsletter. 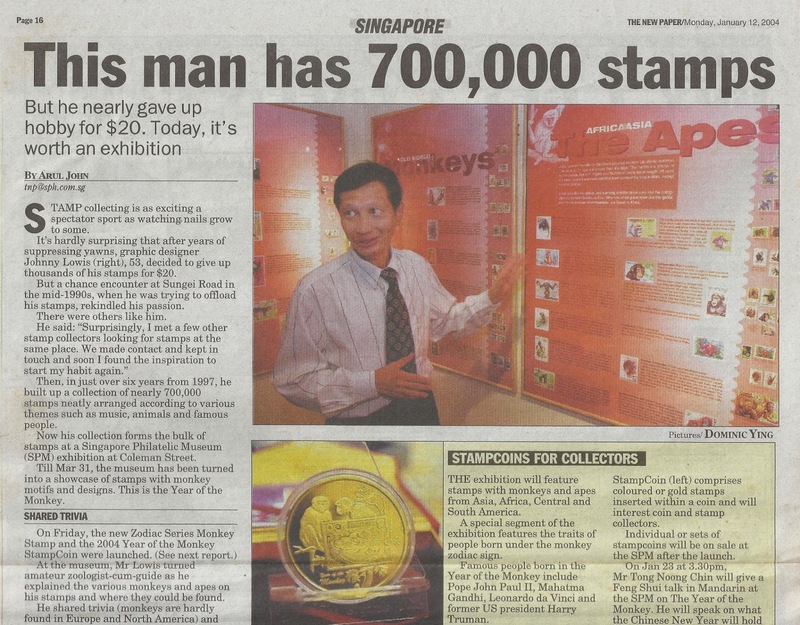 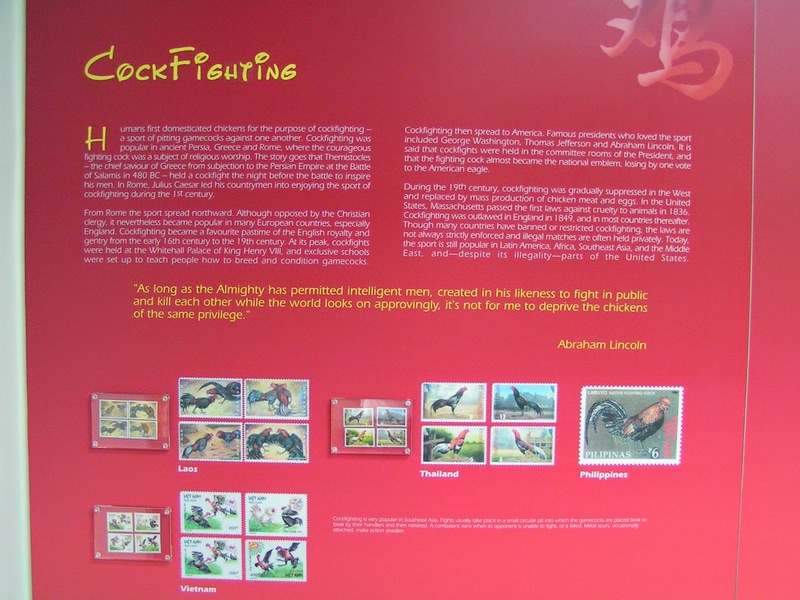 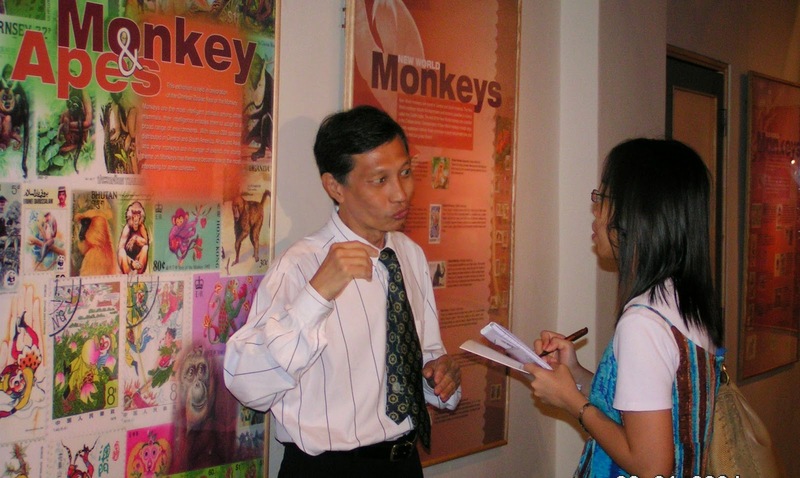 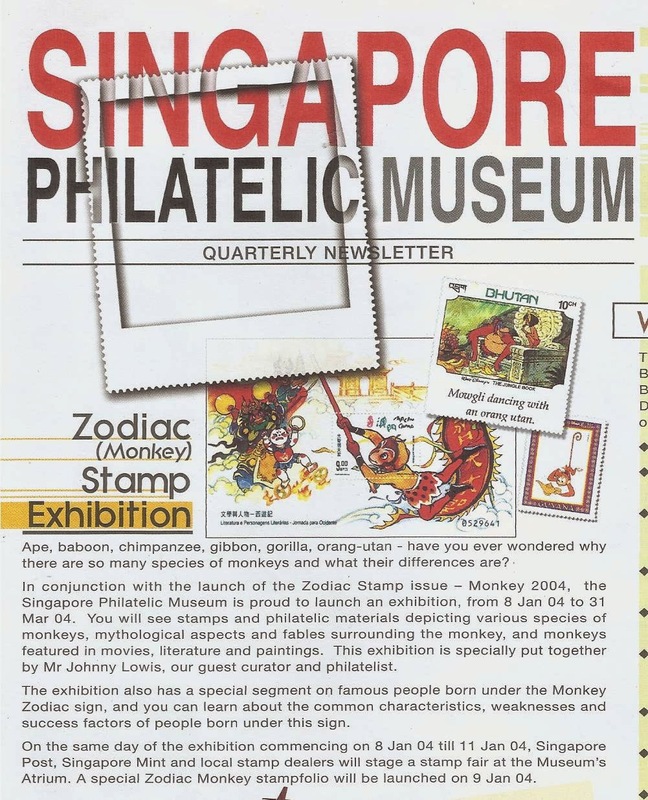 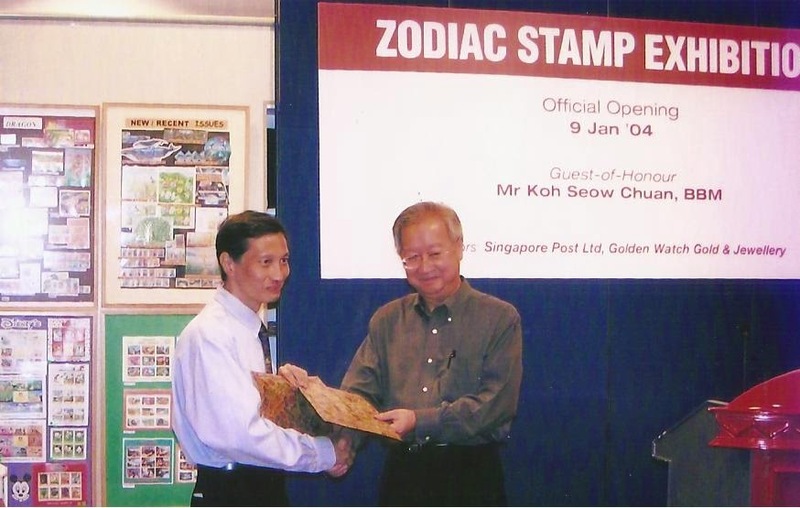 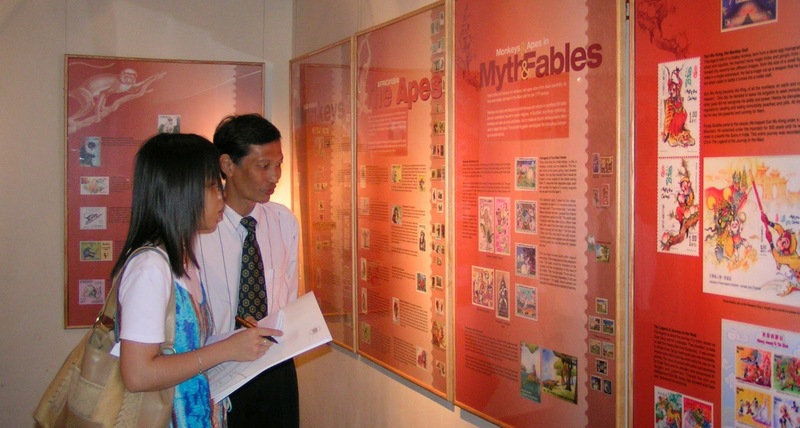 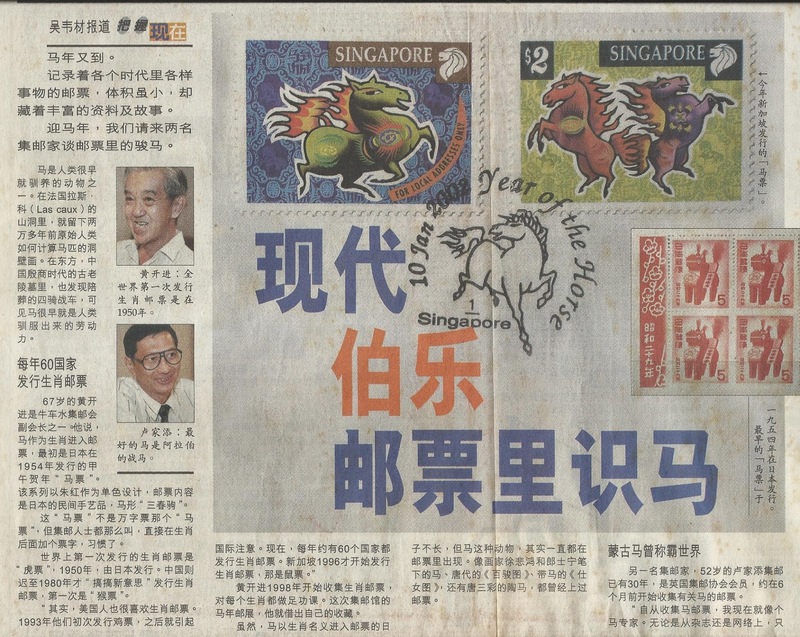 "Monkey Zodiac Stamps" exhibit at SPM. 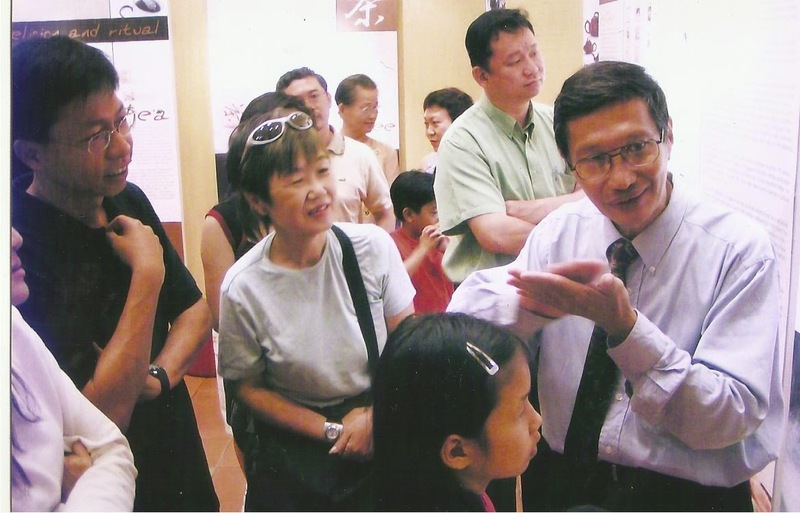 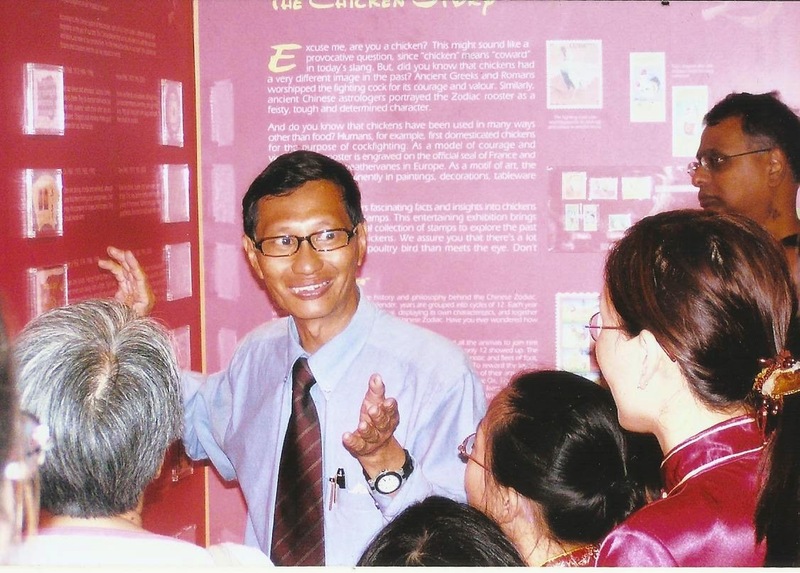 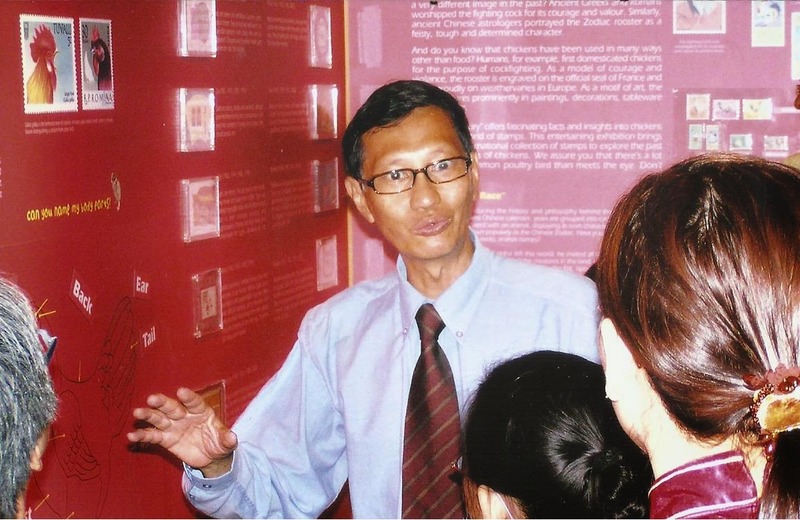 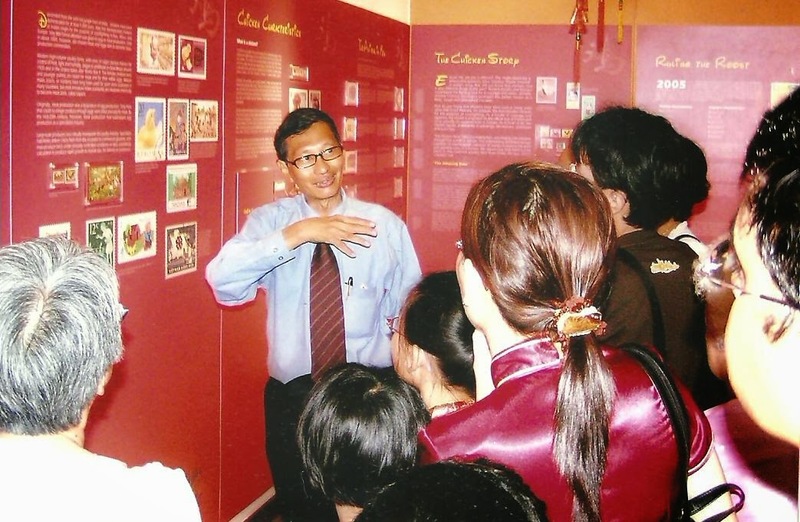 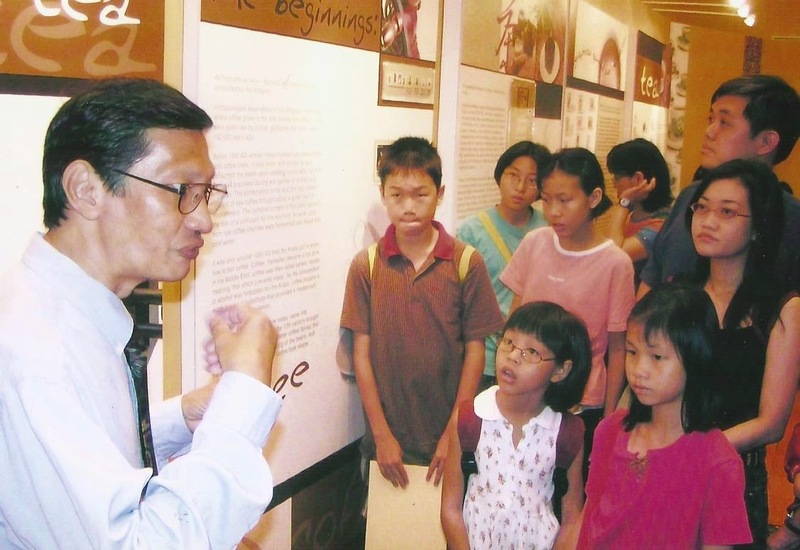 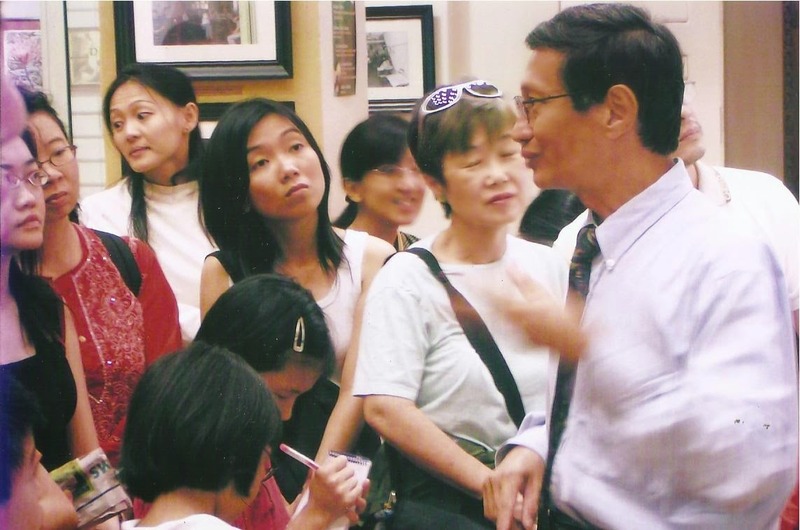 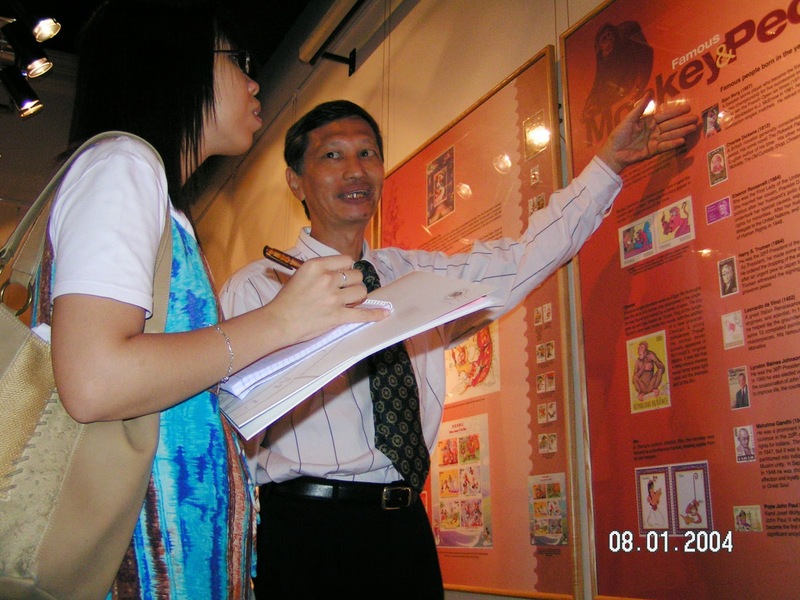 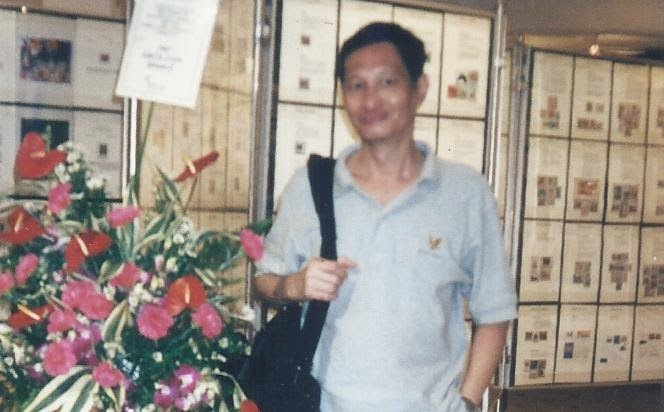 Museum's Chairman, Mr.Koh Seow Chuan. 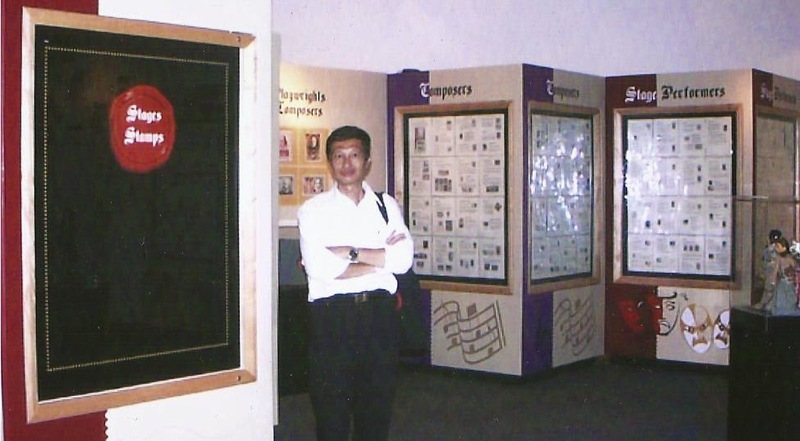 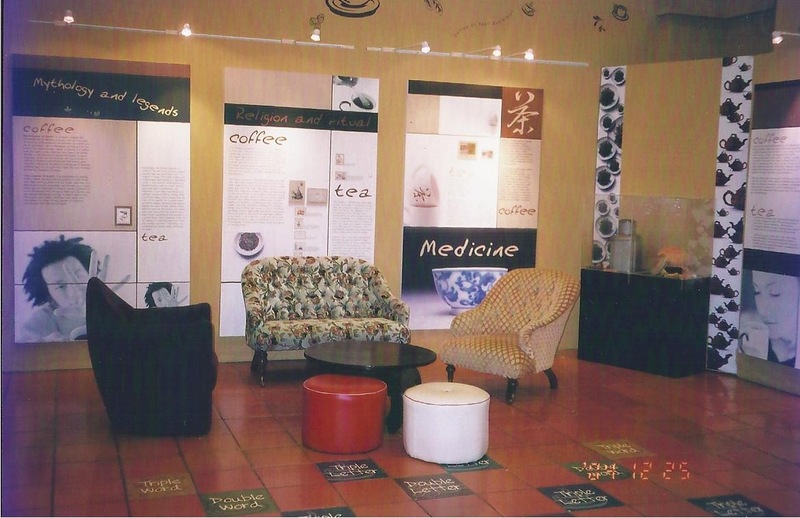 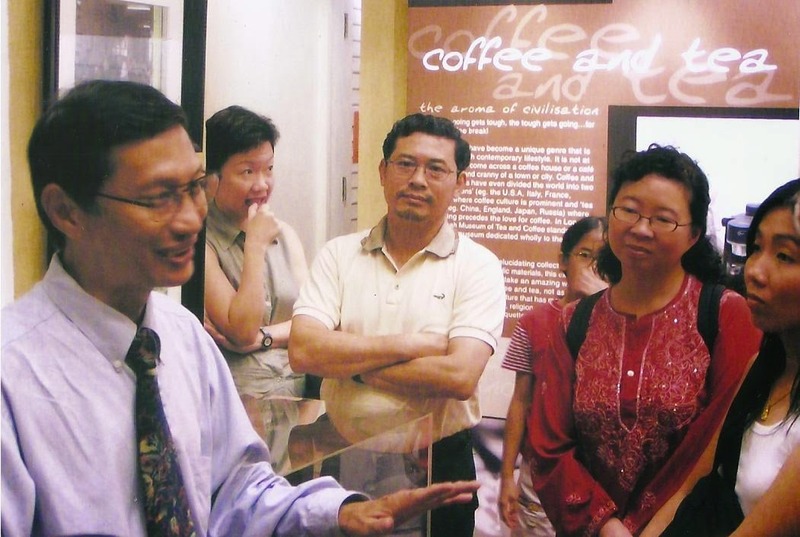 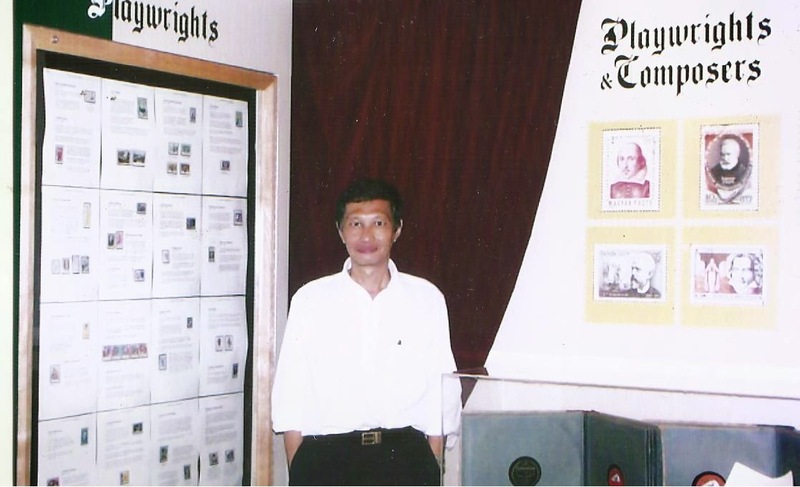 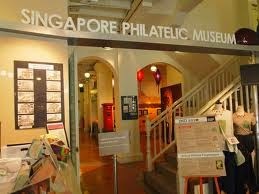 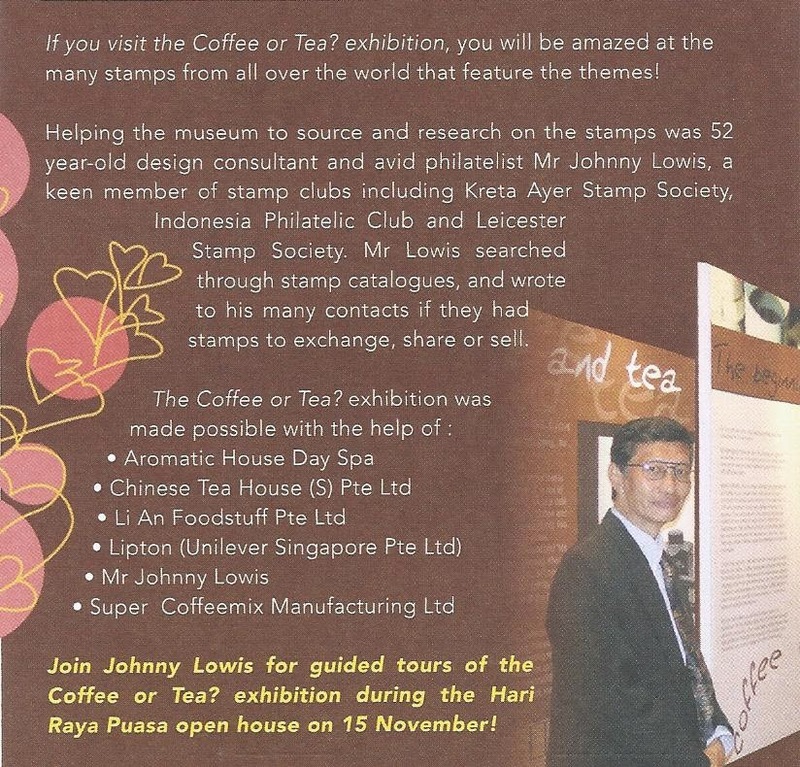 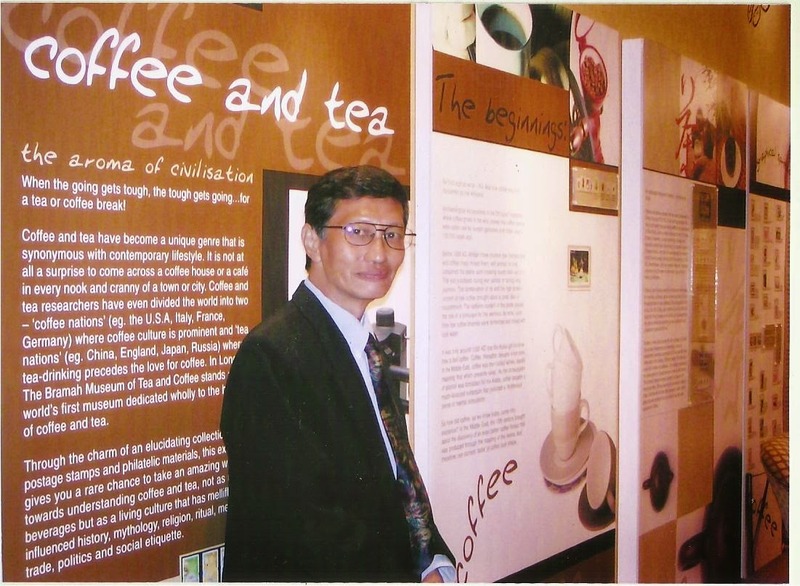 "Coffee and Tea" at the Singapore Philatelic Museum. 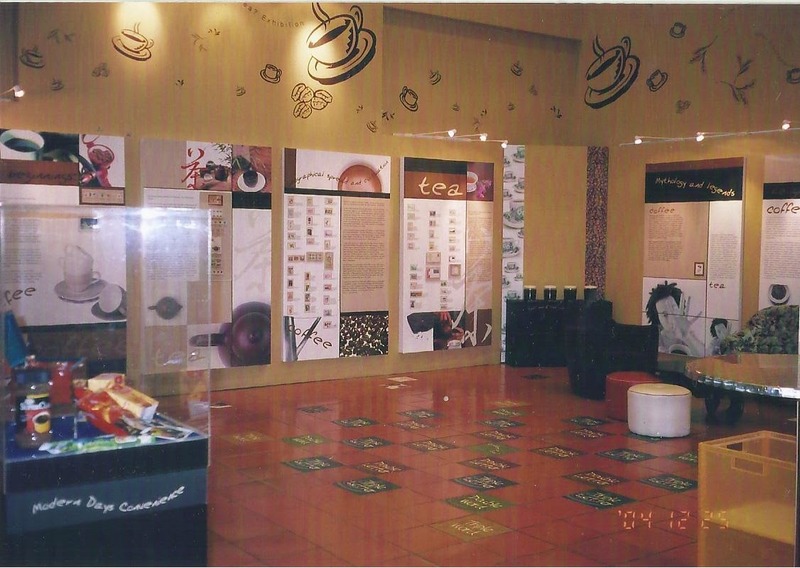 Left panels of the exhibition. 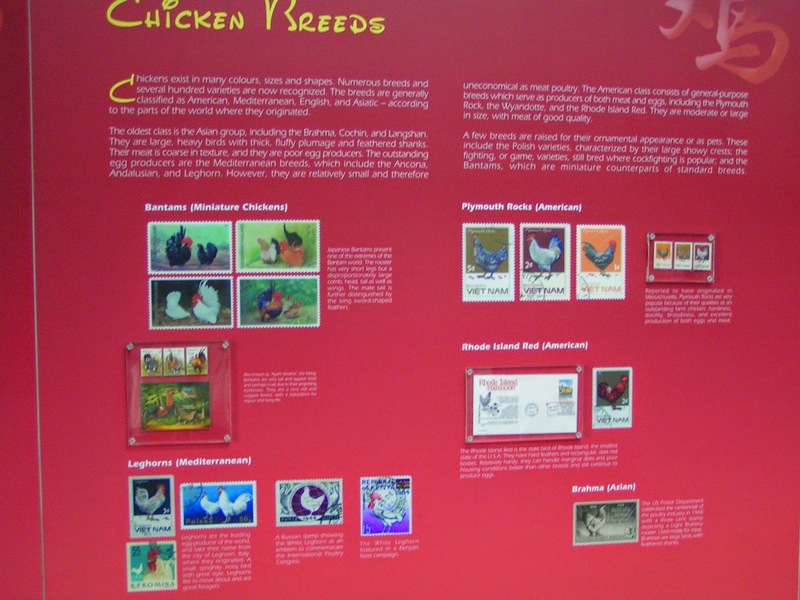 Right panels of the exhibit. 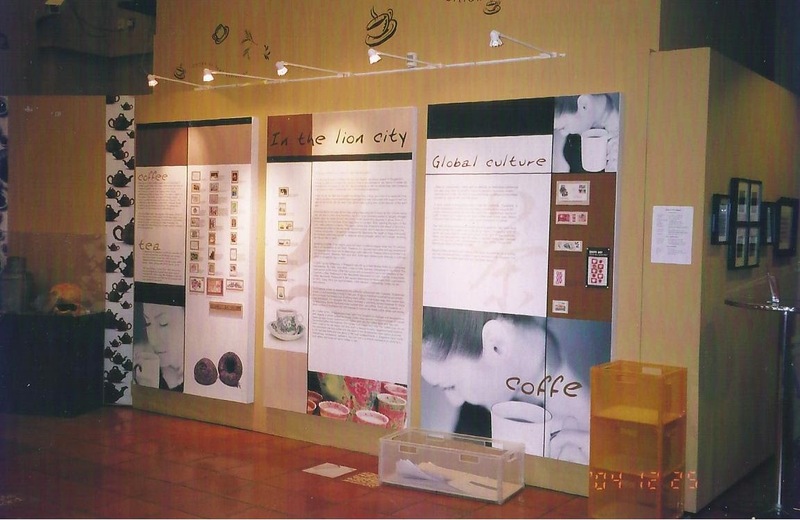 Centre panels of the exhibition. 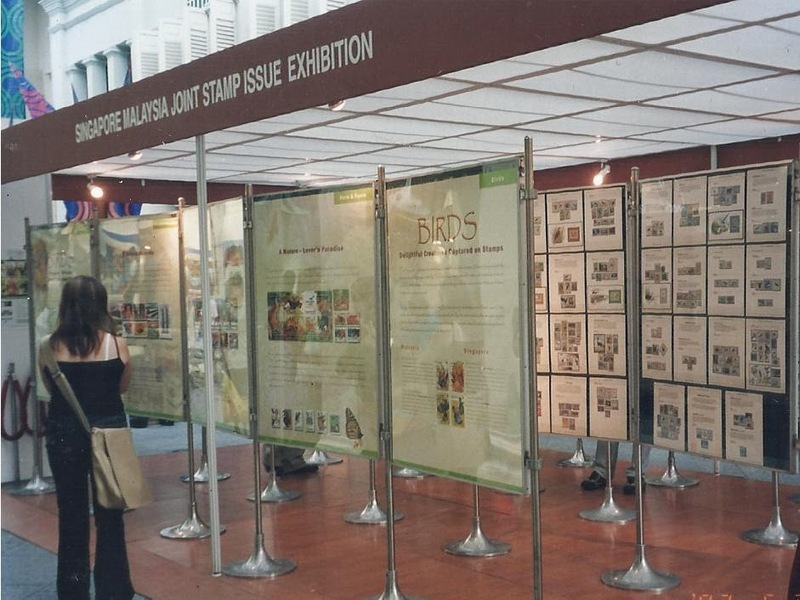 Entrance to the main exhibition hall. 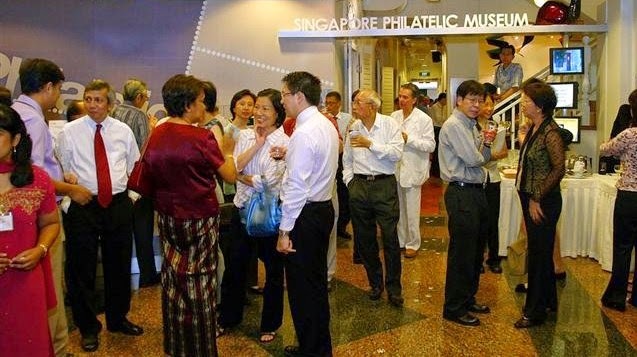 Reception on the Official Opening of the Exhibition. 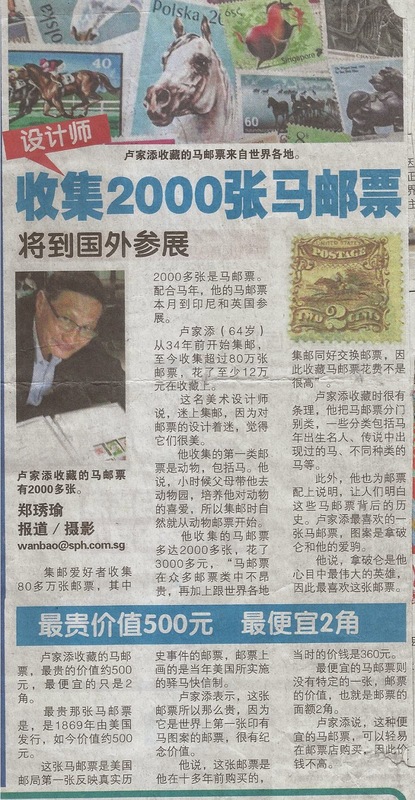 Article appeared on SPM fourth quarter 2004 newsletter. 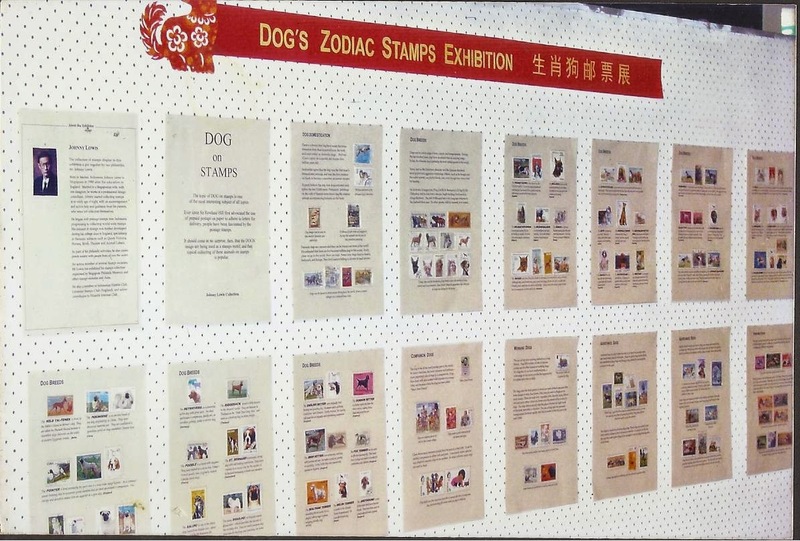 Stamps Exhibition" with traditional lion dances. 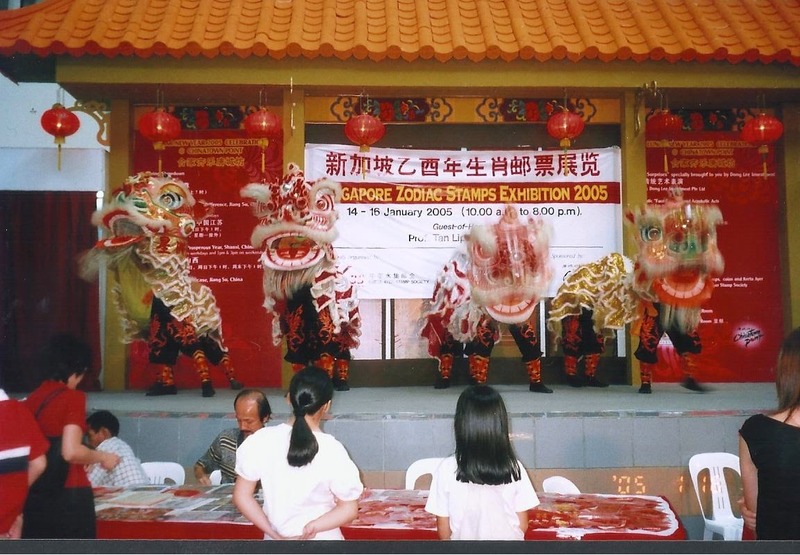 at Ang Mo Kio Community Centre.